Some liquid handling tasks require specialist equipment. Our line dispensers cover a wide range of applications – from Pipet-Aids and bottle top dispensers for large volume delivery to high precision instruments for nanolitre injections. For difficult to handle situations including viscous, volatile or high density liquids our positive displacement repeating dispensers ensure easy and precise delivery. 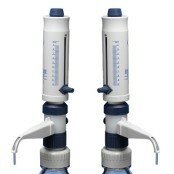 They also make light work of all repeat volume delivery tasks, whatever your liquid. 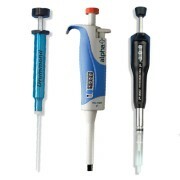 A pipette is one of the most extensively used tools in a laboratory. 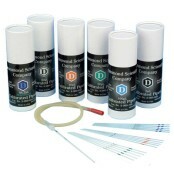 With so many techniques depending on the transfer of often minute sample volumes, accuracy and precision are essential. Benefits: Using quality pipettes and tips is only part of the solution for the best accuracy and precision in your liquid handling. 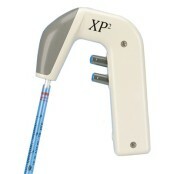 Proper training and the routine use of good technique will maximise your pipetting performance for better experimental results. Our line of dispensers covers a wide range of applications - from Pipet-Aids and bottle top dispensers for large volume delivery to high precision instruments for nanolitre injections. 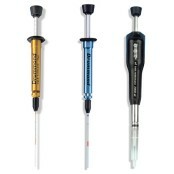 For direct attachment to most reagent/sample bottles for quick and easy delivery of all types of liquids from 0.25-100ml. 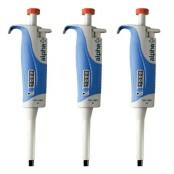 Electronic and mechanical repeating pipettes for rapid, ergonomic multi-dispensing. 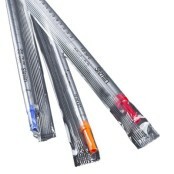 Positive displacement units for specialist work and economical, disposable microcapillaries for routine purposes. 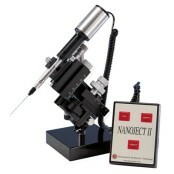 Automated microinjection pipette designed specifically for ultra-delicate nanolitre injection procedures into embryos, oocytes and tissues.